This taco ranch popcorn snack mix is sure to be a Game Day favorite! Homemade taco and ranch seasoning mixes flavor cheese crackers, tortilla strips, pretzels, and pumpkin seeds and combine with Orville Redenbacher’s® popcorn for an ultra savory snack recipe ready for kickoff. If there’s ever something that can make or break a party, it’s the food. Everyone is bound to be more at ease and well, happier to be around if their stomachs aren’t grumbling. I know I’m not fun to hang around when I’m hangry. But gatherings like a Game Day party can be tough to plan for! People come and go at different times, they’re likely to be centered around the TV instead of a dining table, and the food should stand up to being left at room temperature. Enter, taco ranch popcorn snack mix. Savory snack favorites come together in a new way in this large-yield recipe. 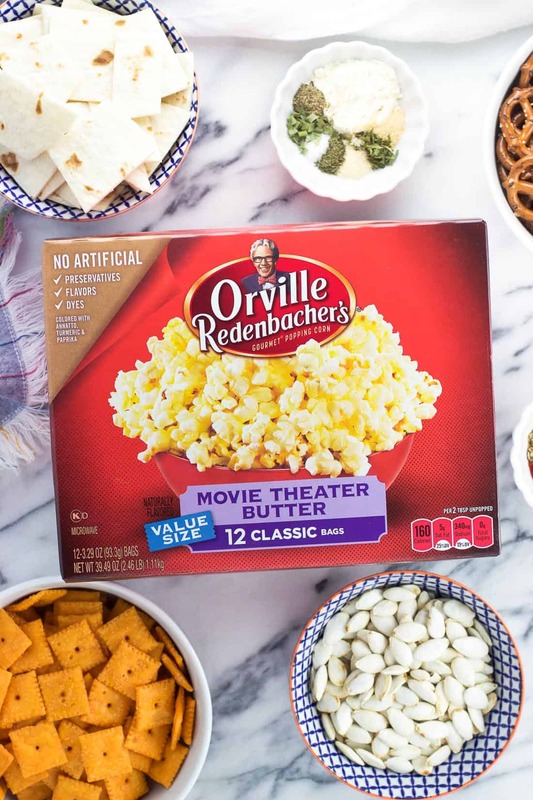 Snack drawer staples like cheese crackers and mini pretzels are seasoned with homemade (or store-bought) spice blends and combine with ultra delicious Orville Redenbacher’s popcorn for serving. Plus it’s make-ahead friendly for the host or hostess – yes! If your crowd is anything like mine, their attention to the game might be interrupted when a big bowl of this makes its appearance. In 1952, Orville Redenbacher hand picked a small group of family farmers to grow his exclusive kernel, which pops up lighter and fluffier than ordinary popcorn. Sounds good to me! Generations later, farmers such as Richard Overmyer continue to grow that same special kernel for us to enjoy. 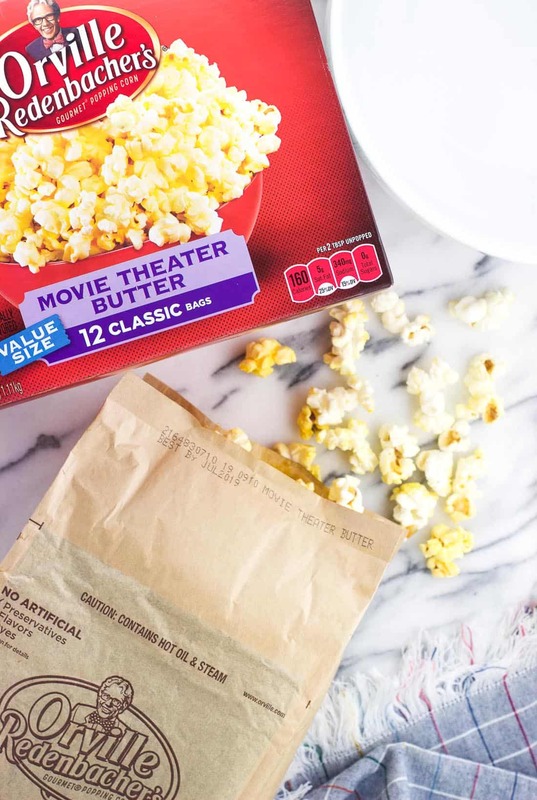 To top it off, Orville Redenbacher’s features no artificial preservatives, flavors, or dyes, and is the only leading brand who uses real butter. Your family deserves the very best! My mom always chose Orville Redenbacher’s for our family’s snacking, and I’ve continued to do the same now with my own household. It’s the best quality for occasions to be cherished both big and small, whether it’s serving up snacks at a Game Day party or simply hanging on the couch with loved ones. 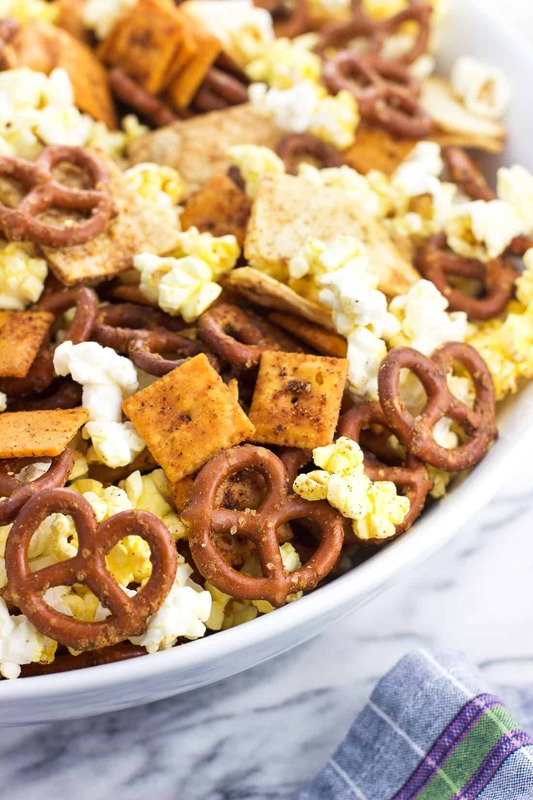 Something I’ve found to be a big hit at my Game Day parties is a snack mix. 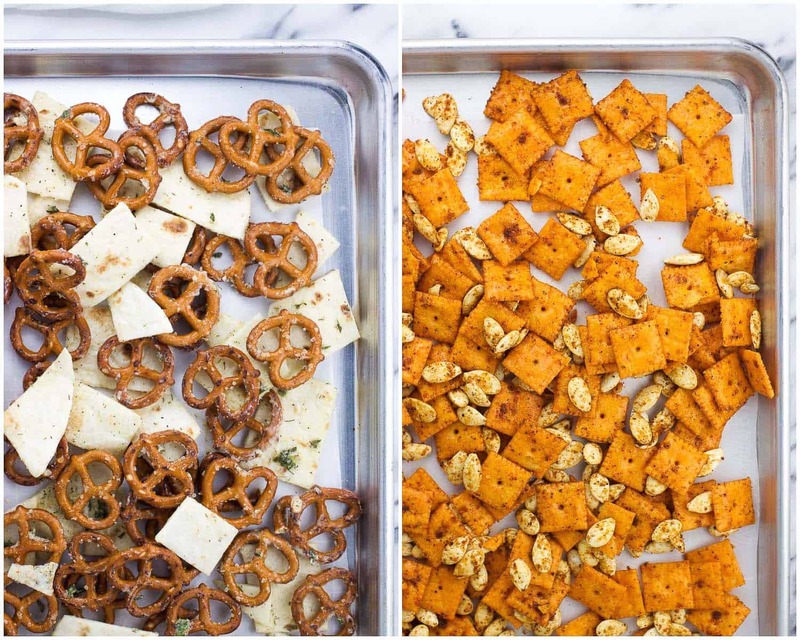 Everyone loves a good snack mix, right? It hits all the right points: shines at room temperature, can be eaten with your hands, bold savory flavors, and it makes a lot of servings. Sure you can buy a snack mix, but putting together your own customized variation really isn’t that tough at all. 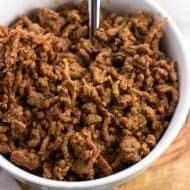 Since we’re all about the savory in my group, I like to use a ranch or taco seasoning for our Game Day eats. But after I had the idea to combine them in one snack mix, well, I don’t think I can go back. Why choose when they complement each other so well? No matter which snacks you’ll be flavoring with what, the procedure is the same. Whisk your seasoning of choice into melted butter, toss with your snacks, and bake at a low temperature until crisp. Pop your Orville Redenbacher’s popcorn and mix it all together. 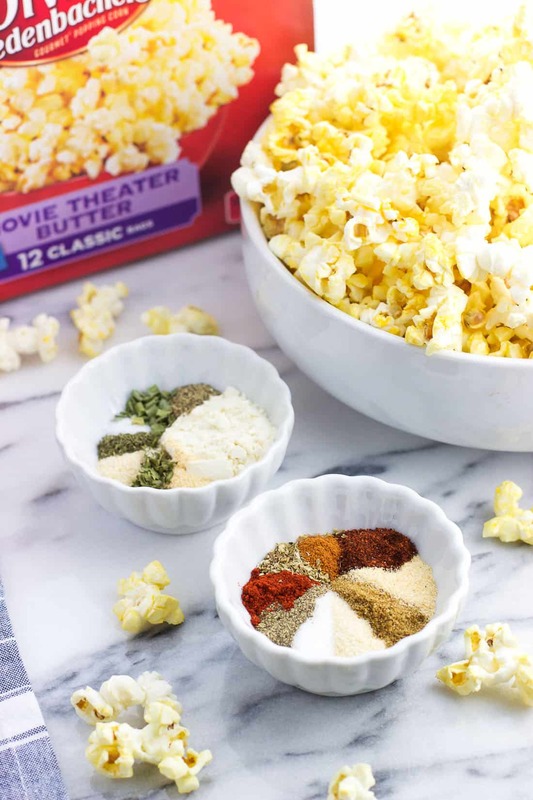 The popcorn brings its own delicious butter flavor, and takes on a bit of the taco and ranch seasonings as it all combines. Mmmm. At first glance the recipe card might look a bit overwhelming because of the number of ingredients. That’s only because I made both the taco and ranch seasonings from scratch, though you can certainly use store-bought taco and/or ranch seasonings if you want a shortcut. 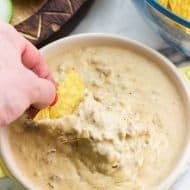 The ranch seasoning is perfectly tangy from the buttermilk powder, which dissolves in the melted butter to coat the pretzels and tortilla strips wonderfully. The taco seasoning is zippy and just a tiny hint spicy. 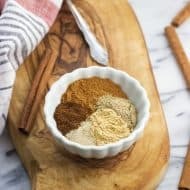 If you know that your crowd isn’t into spice, you can omit the cayenne pepper entirely. Conversely feel free to bump it up even more if spicy = good in your world. So! Once each tray of snack mix is coated in its flavored melted butter, it’s time to bake them until everything is crisp and ready to eat. You’ll want to use a low temperature – 300°F – so they’ll dry without burning. As they bake, periodically shake up the trays so that everything has a chance to crisp up evenly. And do use large, rimmed baking sheets! Each one will be fairly full. Once everything has dried and is perfectly crisp, it’s popcorn time. 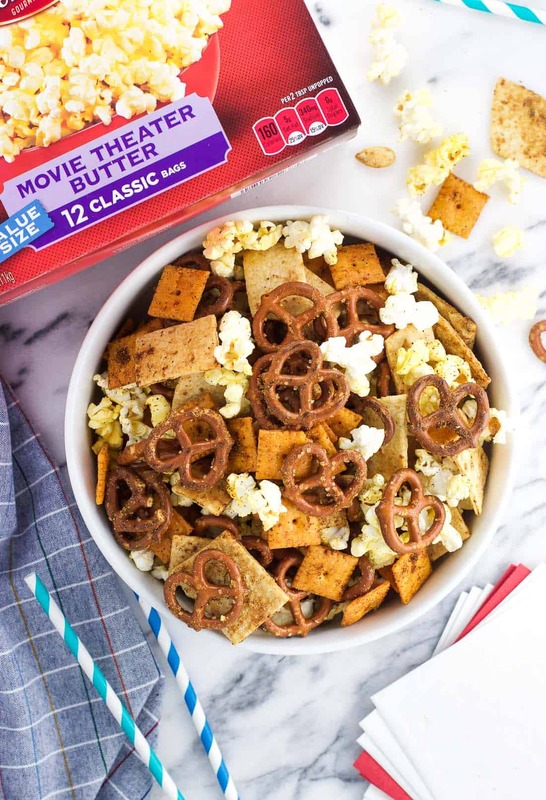 I popped one 3.29-oz bag of Orville Redenbacher’s Movie Theater Butter popcorn and found it the perfect amount to easily mix in to this popcorn snack mix. 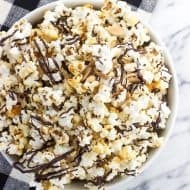 Of course, you can always add more popcorn if you like…or crack into a second bag if too much of it gets snacked on before it’s added to this mix. Grab your biggest serving bowl and mix it all together for a seriously delicious snack. One easy and inexpensive way I love to decorate my Game Day parties is by selecting paper napkins and straws in team colors. 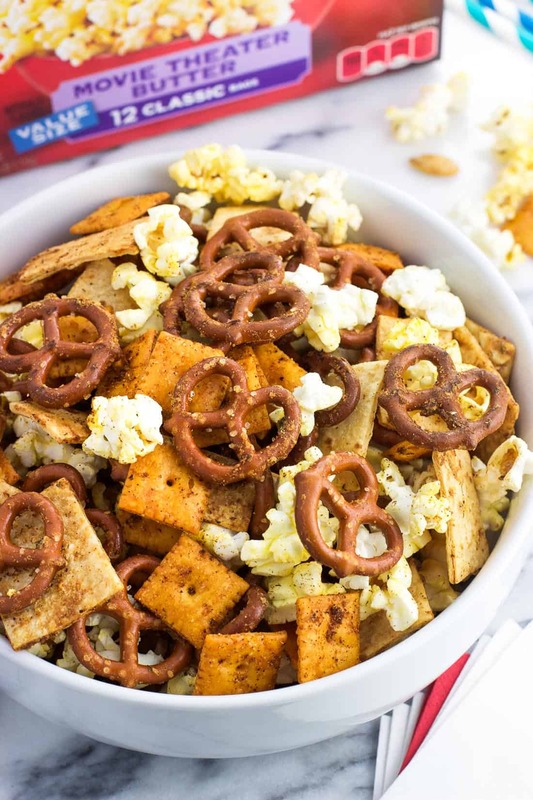 Set next to your big bowl of popcorn snack mix, they’re practical AND on-theme. Check out more Game Day party inspiration here! <– giving me serious ideas for my next time hosting. I found all of my ingredients, pumpkin seeds and all, at my local Walmart. 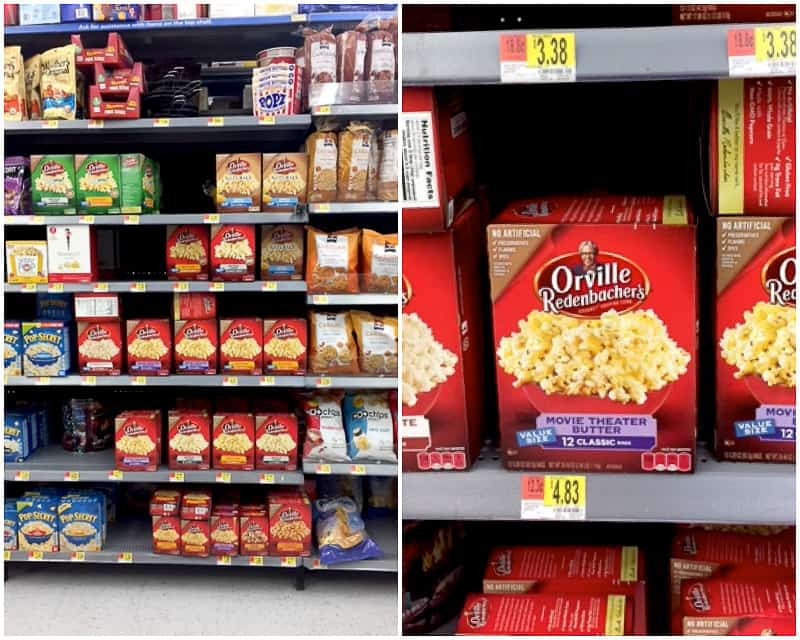 Look for Orville Redenbacher’s Movie Theater Butter and other varieties in the popcorn and snack aisle. If you are looking for a shortcut, you can use store-bought taco and/or ranch seasonings. The ranch seasoning quantities listed in the recipe card below are roughly equal to half of a store-bought packet. 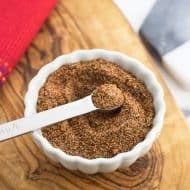 The taco seasoning used is around five teaspoons in total. Use your largest rimmed baking sheets and arrange the mixtures in even layers so everything crisps evenly. Make sure the tortilla strips aren’t stuck together as they may be slower to crisp that way. Store leftover popcorn snack mix in air-tight plastic bags. 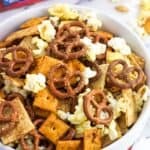 Taco Ranch Popcorn Snack Mix, with cheese crackers, tortilla strips, pumpkin seeds, pretzels, and Orville Redenbacher's popcorn, is an easy-to-make snack mix recipe. Perfect for Game Day! Mix up the taco and ranch seasonings in two separate bowls. Set aside for now. Meanwhile, preheat the oven to 300°F and line two large rimmed baking sheets with parchment paper. 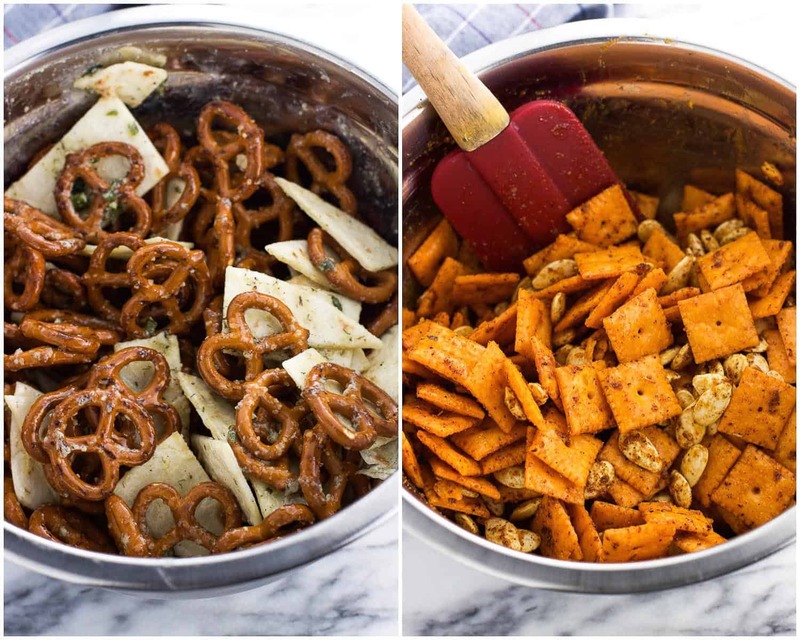 Add the cheese crackers and pumpkin seeds to a large mixing bowl, and add the pretzels and tortilla strips to another large mixing bowl. Melt 1/4 cup (4 tbsp) of the butter using the microwave or in a saucepan on the stovetop. Once melted, pour in taco seasoning and stir to combine and get rid of any lumps. Pour butter/taco seasoning into the bowl with the cheese crackers and pumpkin seeds. Toss to combine and coat everything very well. Once all of the crackers and seeds are moistened, pour out mixture onto one of the prepared baking sheets and arrange in a single layer the best you can. Melt the remaining 1/4 cup (4 tbsp) butter in the same manner, this time adding the ranch seasoning. Pour over the pretzels and tortilla strips and toss to combine well. Pour out onto the second prepared baking sheet and arrange roughly in a single layer. Ensure that the tortilla strips are not stuck to one another. Place baking sheets in the oven and bake for 45 minutes. Every 15 minutes remove the sheets and give them a shake. Once everything has dried and crisped up, add everything to a large serving bowl or bowls. 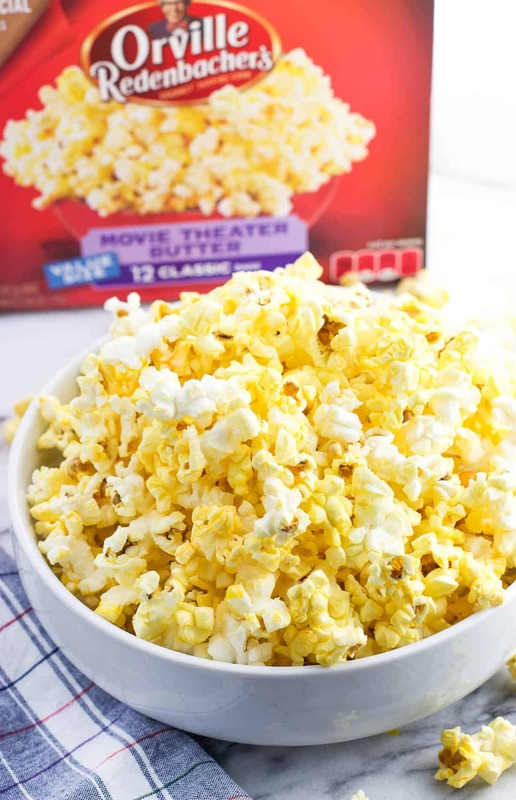 Pop Orville Redenbacher's Movie Theater Butter popcorn according to package directions. Pour into the serving bowl and toss to combine. Store leftover portions in an air-tight bag.